Cranfield University Blogs | Fatbergs in our sewers – are modern culinary habits to blame? Food is crucial in our life. Since the Neolithic period, our eating habits have dramatically evolved. Early man lived a nomadic life, hunting and picking fruits and vegetables. The revolution in our ancestors’ lifestyles came from sedentarisation. We learnt to master our food resources by farming and keeping cattle. However, it took us centuries to develop the food production systems that we have today. For a long period before “modern times”, not a lot of progress was made. The Industrial Revolution played a major role in our habits. Rural exodus and urban expansion were the starting point of the “triumph” of food industrialisation. Over the last century, the globalisation of dietary models, like that of the US, has strongly influenced culinary cultures. The evolution of our sustenance preferences and eating habits can easily be explained by history. But what about the influence it has had and continues to have on our environment? FOG is one of the witnesses of this evolution. Never heard about it? FOG stands for fats, oils, and grease. In a nutshell, these are all by-products of food preparation and cooking processes and are generated by domestic, commercial and industrial activities. 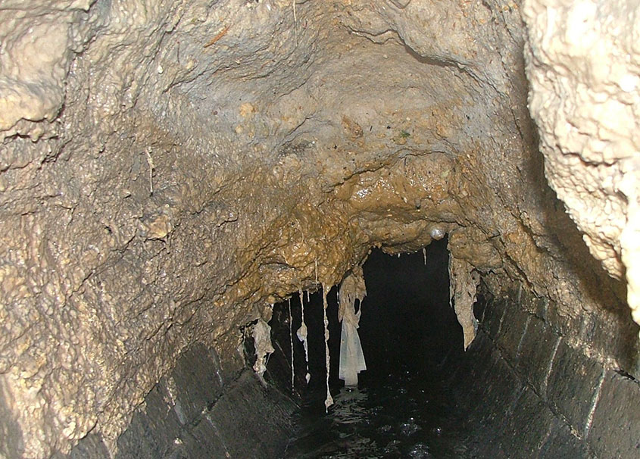 When these products enter the drainage system and are mixed with sewage they tend to agglomerate and generate a massive solid block – now more commonly referred to as a “fatberg”. Over time, these fatbergs grow and grow and eventually block pipes which may result in turn in sewage overflows or burst pipes. You can easily imagine how serious it is when you have a closer look at a fatberg! It is estimated that 75% of the 200,000 sewer blockages which occur in the UK every year are due to FOG. Clearing these blockages comes with a certain cost evaluated in millions of pounds per year. Water companies have initated a range of behaviour-change campaigns to try and prevent individuals and businesses washing fats, oil and grease down the drain. Some have seen significant reductions but huge amounts of FOG still get into the system. This FOG then generates downstream issues when it ends up at a wastewater treatment plant. Typically, a conventional sewage treatment works won’t be able to deal with these products in such a concentrated form. Consequently, treatment efficiency, as well as the assets’ lifetime, are reduced and in turn, operating and maintenance costs are increased. So now, you are (probably) wondering, “wait a second, so how can we deal with this?” This is actually a very difficult challenge, since there is no universally effective way of managing and removing FOG. Several approaches have been considered, but so far none has proven to be 100% effective. My research project, hosted at Cranfield University and sponsored by Thames Water Utilities, seeks to solve this problem by better understanding the relative efficacy of FOG removal and recovery processes. And why am I suited for this task? Well, I studied Biological Engineering in France, and for my final year, I attended a double degree course at Cranfield University in Environmental Engineering. I have always been attracted to research and hope that this project provides me with an opportunity to not only become a researcher but also make a (big) difference to people’s lives and livelihoods. So here I am, at the beginning of a long and promising journey! This blog was first published on the STREAM IDC website. Find out more about doctoral research projects funded through STREAM. 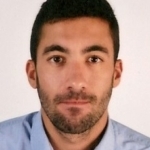 Thomas Collin is studying for an EngD at Cranfield through the STREAM Industrial Doctoral Centre for the Water Sector funded by the Engineering and Physical Sciences Research Council (EPSRC). His project, ‘Integrated FOG management: Understand the what, where and how of FOG removal and recovery’ is sponsored by Thames Water Utilities Limited.